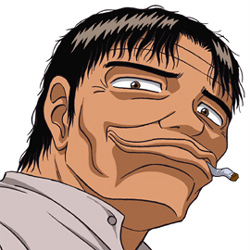 Legendary Gambler Tetsuya (勝負師伝説哲也, Shoubushi Densetsu Tetsuya) is a Japanese manga written by Fūmei Sai and Yasushi Hoshino. It was adapted into a 20 episode anime series by Toei Animation. The story takes place in a economically devastated post World War II Shinjuku, Japan . 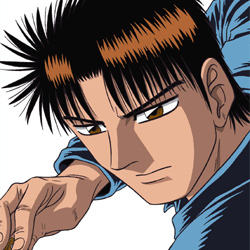 The protagonist, Tetsuya, is a skilled mahjong player who strives to become a better gambler by taking up an apprenticeship with Boushu, a seasoned veteran. 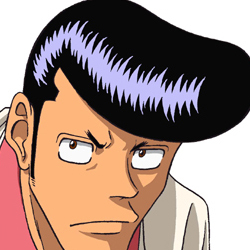 Tetsuya, later known as "Kid Tetsu", is a professional player who later becomes the disciple of Boushu. After which they engage in mortal combat with hundreds of professionals. Boushu is one of the best gamblers in Shinjuku. 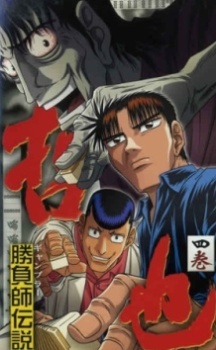 He later trains Tetsuya in the gambling ways, which leads to a partnership. When playing together their mahjong gameplay is virtually unstoppable. His signature move is tsubame gaeshi. 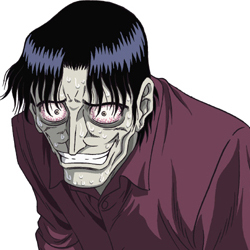 Danchi, one of Tetsuya's gambling partners, acts as a foil to Tetsuya's personality having a goofy, comedic personality. A top professional with formidable skills. His special ability allows him to see through the tiles. The music was composed by Kuniaki Haijima (蓜島邦明), which includes "Reach out", the main theme song, performed by Akiko Wada (和田アキ子), and "All Last" by Shigeru Matsuzaki (松崎しげる). The album was released March 17, 2001.